It’s Devin Booker and nobody else. The Suns could use help everywhere on the court. With the top pick, they have to take the best available player. They could use a big guy who can score. Let De’Aaron Fox penetrate and set up a few easy baskets for this big. With a pending Dennis Schroder trade, the Hawks could look for a guard here. The Grizzlies could use a wing player who can score. They roll the dice that Michael Porter will be healthy and can get buckets. The Mavs have a PG after last year’s lottery pick, Dennis Smith Jr. They could use a big to help replace Dirk Nowitski who’s going on his retirement tour this season. They need someone to help out Aaron Gordon. They go with the best scorer in this draft. Lauri Markkanen looks like he has superstar potential. The Bulls should get some backcourt help. This pick is so difficult to predict right now with LeBron’s impending free agency. If he stays, they probably look for a point guard. If he goes, they’ll take the best available player. Porzingis is a star but is proving to be injury prone. David Fizdale is the new coach in NYC. The Knicks are building some young talent and hitting on this pick could push them toward the eight seed in a weak Eastern Conference. The Sixers proved their contenders in the East but are still a ways away from being NBA Championship contenders. They need to add depth down low to improve. Will Kemba Walker be traded? That’ll determine what the Hornets do with this pick. If he’s traded, they’ll have to find a scorer in this draft. With back to back picks and potential roster moves including trading DeAndre Jordan, the Clippers could go many directions here. They get the Jordan replacement here. The Nuggets need depth. They’re a team that’s right on the cusp of the playoffs in the ultra competitive Western Conference. They’ve got to draft someone who can come off the bench and contribute right away. The Wizards seem settled around the perimeter. A stretch 4 would be ideal here if they’re to become contenders in the East. The Suns took DeAndre Ayton at the top of this mock. The Greek Freak has Milwaukee ready to contend. He needs help though. The Bucks look for a wing and get someone who can play D and shoot the 3. Will Kawhi Leonard be back? The Spurs will look for scoring just in case he doesn’t return. Earlier in this mock, the Hawks draft Luca Doncic. The Hawks need to take the best player available here. The Timberwolves took strides forward this season. They need depth if they’re to challenge for a NBA Title. Utah surprised this year as Donovan Mitchell became a star in his rookie season. As they found out in the playoffs against the Rockets, they need more firepower to challenge in the West. The Bulls took a PG earlier in this mock. They go for a guy who’s shooting up draftboards after filling the stat sheet in the NCAA Championship for ‘Nova. One of the biggest surprises in the NBA was the Pacers not just making the playoffs but taking the Cavs to game 7 in the first round. They know they’re just a player away from being contenders. The Blazers have one of the league’s best backcourts. They’ve got to improve their front court if they have any chance of contending in the West. They take a chance on a player who sat out his college season but he’s a 7 footer so he might be worth the risk at this spot in the draft. The Lakers have a young nucleus but need more talent to try to make the playoffs. The Sixers took a big earlier in this mock. They’ll look for a shooter with the potential loss of J.J. Reddick to free agency. The Celtics went to game 7 in the Eastern Conference Finals without Kyrie Irving and Gordon Hayward. This pick could be someone they look to develop as their won’t be much playing time available next season. This is the Hawks third first round pick. They’ll go with a wing that can tighten up their D.
The Nets just need talent. They can get a player who vastly improved during his only season in college. The Warriors are headed to their fourth straight NBA Finals. They’ve got the best starting 5 in the NBA but their bench could use a boost. 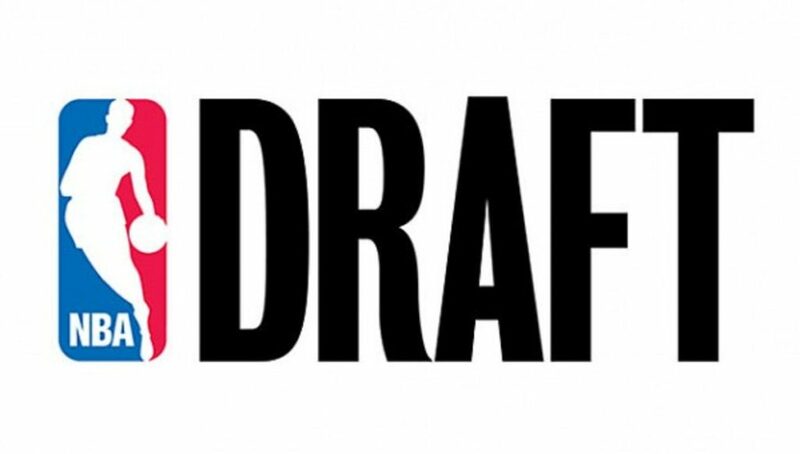 The NBA Draft happens on June 21, 2018. Get NBA predictions and draft information from Sportsformulator.